Two colossally heavy bands united to create some of the most terrifyingly brutal and soul searing heavy metal that I've heard in a good long while. Heavily reliant on groove and bone grinding riffs the two songs on this split will draw you in with an almost mystical sense of heaviness. There is something distinctly grandiose about this split and as you seep into the frightening truth behind it all it's easy to get lost in the magic. Though I was familiar with Slomatics I didn't know about Holly Hunt before this, and I'm very glad that's changed. With the appropriately titled 'Bill Ward' Holly Hunt deliver some of what I take to be their trademark brutality to the split. As the band starts to play you start to immediately fall into a sort of netherspace, another world couched within one you thought you knew. It shows the power of this band as a sort of ethereal force to come out and transport you to a magical place far away from here. Slomatics then come around and do something equally impressive. Listen to these riffs, it's easy to see how they were a big influence on Conan when they were starting up. There is a delicious sense of momentum here and as you fall forward, you see that these guys are true lords of the genre. So where does this leave us dear reader? Well, I think we can safely say that this may very well be the best split of the year. The way that these two bands come together to produce something immaculate and beautiful can not be put into mere words. These two bands have a wonderful and pure understanding of what it means to have groove and when they bring the heavy, it gets ridiculously heavy. 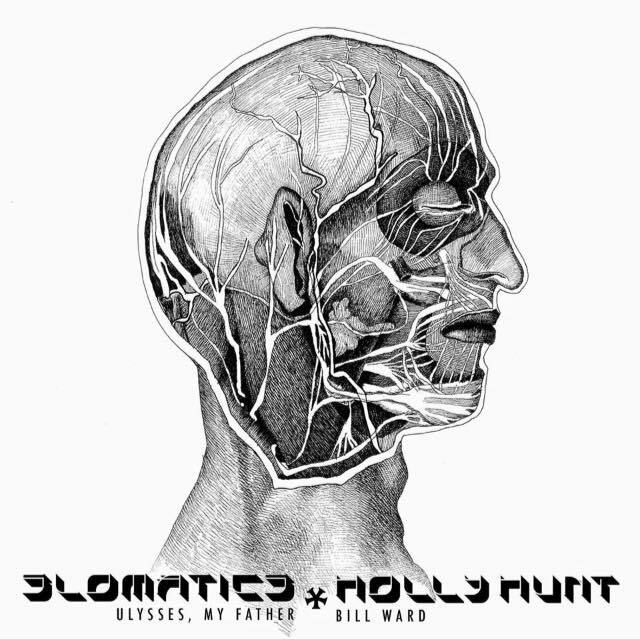 Mesmerizing and absolute, Holly Hunt and the Slomatics have been able to remind me what I love so much about heavy music.